Waiouru: The Walk Pt2 and what storm? After exploring the Tump (motte) I followed footpaths in a north-westerly direction towards that large industrial complex. The route took me through almost flat countryside, some of which had recently been planted and green shoots were already appearing. Despite the signposts directing me to walk across a newly sown field I just could not bring myself to trample down some hard working farmers crop. 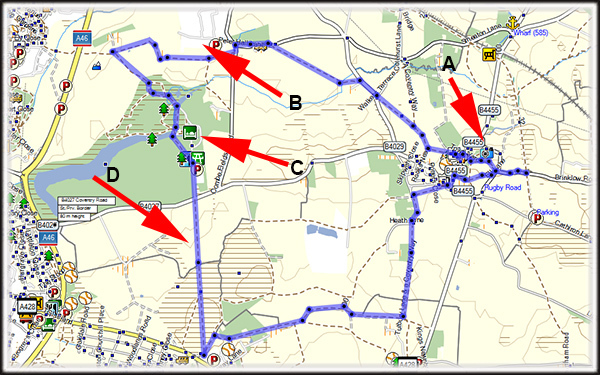 Still, the detours added to the length of the walk. On reaching the industrial complex I discovered who owned it. We currently don’t need to purchase a car, however I wonder if they give a discount for door sales? The factory is at point “B” on the following map extract. It was not long afterwards that I realised I was almost at the outskirts of Coventry and I could probably walk to the Canal Basin. 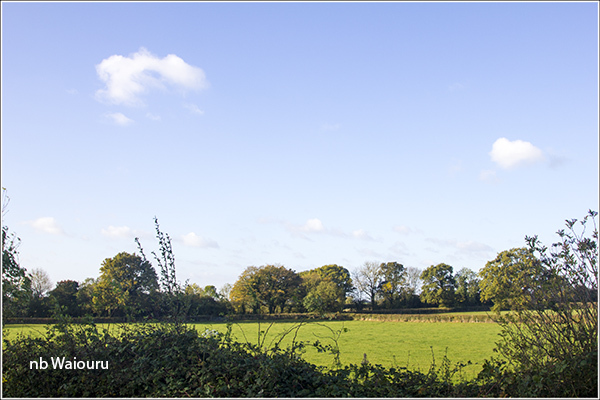 However I turned south continuing through the fields until I hit some woodland. 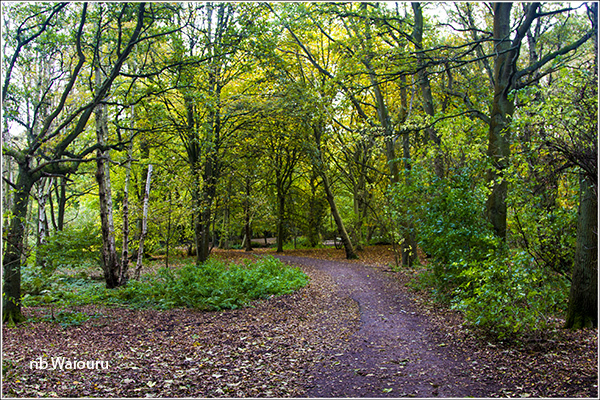 To my surprise the paths in the woodland were in excellent condition and after walking without seeing anyone I was surrounded by walkers. It wasn’t until I reached the noticeboard beside the lake that I realised I’d walked into some type of country park via the back door. When I reached the centre it became even busier. By now I was wondering if I’d have to pay to leave via the main entrance. 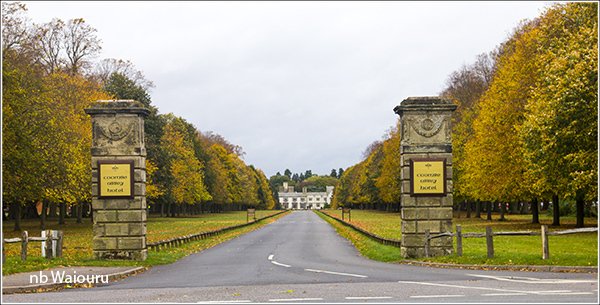 It wasn’t until I returned to Waiouru that I was able to find out some information about Coombe Abbey Hotel. 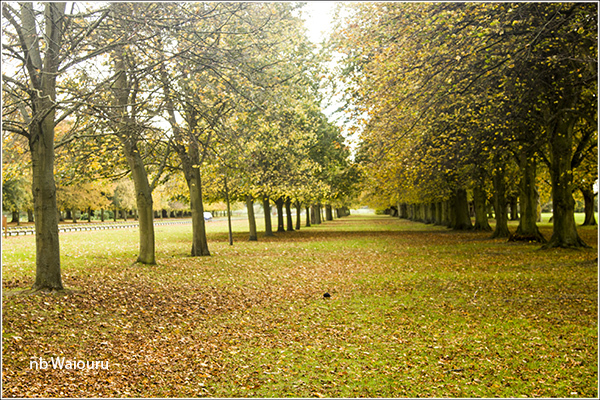 The grounds are known as Coombe Country Park and are run by Coventry City Council. Coombe Abbey was founded as a monastery in the 12th century but changed to royal ownership after that fellow Henry decided to start his own church. 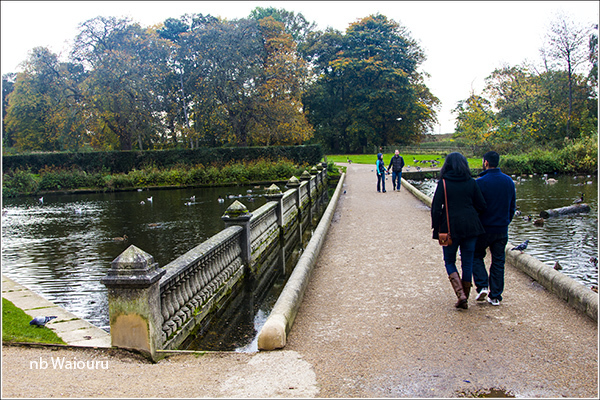 In 1771 Capability Brown redesigned the gardens. Brown developed a new English style of garden which was extremely popular with the ‘landed gentry’ of the day. He designed over 170 gardens. His style appears to have been to make an artificial environment look natural. 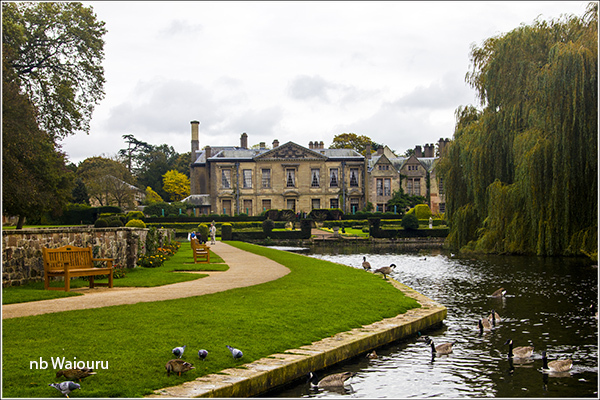 Coombe Abbey was owned by the Earls of Craven until 1921 when it was purchased by Coventry City Council who opened it to the public in 1966. 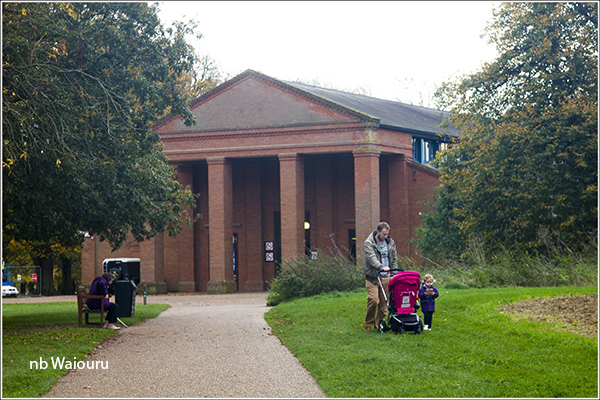 Opposite the main entrance gate is a long and straight footpath (point D on the map above). My guess is this was once a main arterial route for estate workers heading to the main house. The route back to Waiouru took me around fields of corn which were being harvested. There was a steady stream of tractors and trailers moving between the harvested and the storage silos. This resulted in me having to make a number of detours to ensure I stayed away from their route. One unexpected benefit from this was I came upon an apple tree growing in a hedgerow that was laden with small, ripe apples. No good for eating but they will go well in jam or a pudding. I stopped to pick a bag before continuing. After a shower I stripped everything that was loose off Waiouru’s roof and carefully laid it beside the boat placing something heavy on top. The idea was to avoid any damage during the forecast storm. Jan and I then went foraging for sloes in the local hedgerow. We must have picked a kilo which Jan intends to use to make sloe jam. Well it rained during the night but we awoke to a clear blue sky. I telephoned Jaq & Les who are further south and was informed they were getting a right old belting from the storm. 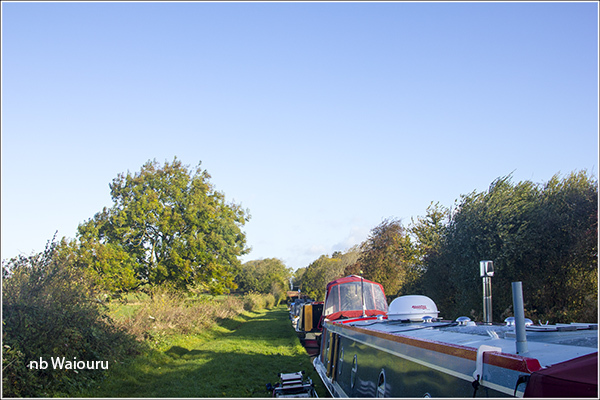 So here’s a couple of photos of our mooring! Obviously you have to know how to pick your mooring. 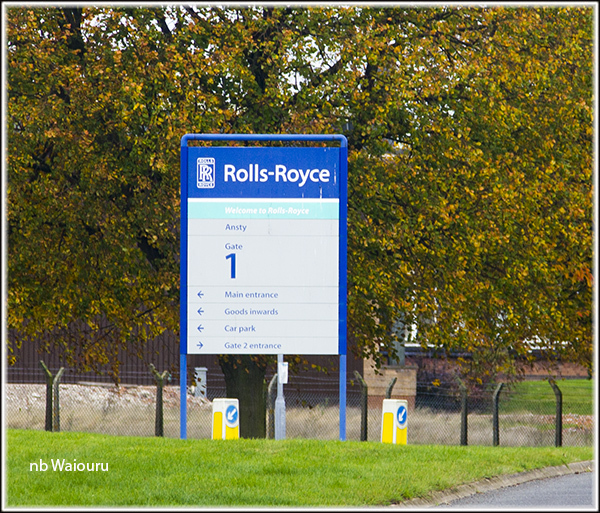 Rolls-Royce couldn't sell you a car from there even if you wanted one: Ansty is part of the aero engine company, not the car builder. That would explain the large exhaust tubes for testing jet engines.